Are you raising a future pilot? 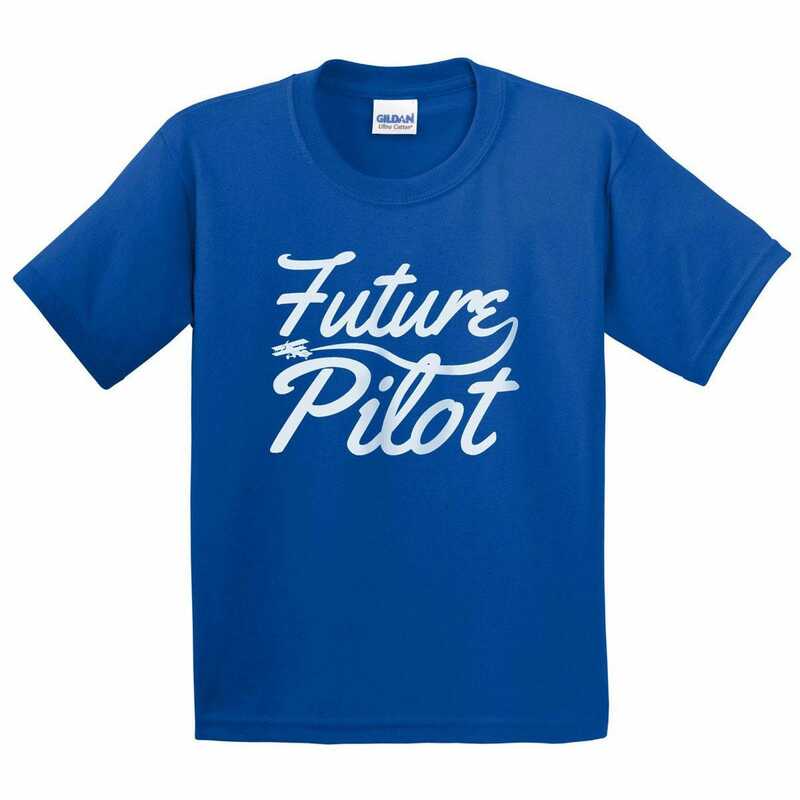 This kids t-shirt make a great gift for up and coming generation of pilots. Royal blue shirt is constructed with 100% cotton and available in kids sizes SM-XL and toddler sizes 2t-5/6. Measured around the chest one inch below the armpit. Start at the center of the neck and measure to the end of the shoulder, and then down the sleeve to the end of the wrist. Keep arm down to side of body, straight but relaxed. Measured from high point of shoulder to finished hem at the bottom of the shirt. What size would translate to a 2T, 3T? BEST ANSWER: It should be a medium. If it does not fit you are able to exchange it.